Friends, it's Wednesday. A day here on Steps where we look back and find things to be thankful for. Well today my dear friend, Kristy Cambron, is sharing her heart FULL of thankfulness as she looks toward this Sunday. A day where we celebrate Jesus and all he's done for us. It's a beautiful, honest post. So pour some tea or coffee, curl up for a few minutes of quiet in your favorite chair, or sit in the carpool line and scroll along your phone...wherever you are, join Kristy here. You'll definitely be blessed. ￼￼￼￼Writers love words. We live in them more often than we'd probably care to admit. Grammar is super-groovy-mega-cool to us. #Booknerdigan and #bibliophile are hashtags we use with pride. And the characters who live in our heads are seemingly always spouting words that work to craft our next story. We’ve got jumbles of them floating around in our minds, working to cover this gammet of emotions that is the human condition. That's why it's incredible to find such emotion-charged wonder wrapped up in two powerful words – those that we might not have considered: THANK YOU. These words will be prayed in churches all over the world this week. They'll be whispered in reverence. In some cases, they'll be shouted from the pew or baptismal. They’ll be joyful. Belted out in triumphant song! They may be uttered through tears. Maybe said in the quiet recesses of a grateful heart. They'll span the earth finding no barrier of geography, language, ethnicity, depth or breadth of sin, worthiness, unholiness, or thirst for grace. Say them. Whisper them and listen... Thank You. The measure of your worth is poetically wrapped in just two syllables. The definition of the most devoted love is their foundation. These words speak of sacrifice. Of worthiness. Of measured forgiveness and grace like we can never find elsewhere. These words are not breathed in judgment. Cannot be defined by success. They're not in what we own or what we've accomplished. They'll not define worth in what we look like. We can find nothing to eat or drink that will satisfy quite like them. These words are not scared off by a laundry list of the sins we keep buried in our hearts. No -- the beauty of these words can find no comparison. Not at an altar or a grave. They're more pure than the exchange of rings for a bride and groom. More innocent than a newborn baby. More awe- inspiring than the most magnificent sunset you've ever seen. I don't have all the answers for why we experience pain. Or loss. Or have to ever speak words like cancer, murder, selfishness, pride, hate, regret, fear, unholiness, and death. Those are words that hurt. They bind the worst kinds of evil. They cause us to grieve because there are so many Thank Yous still left uncarried to the base of a dusty and blood-stained cross. I write with no theology degree stamped behind my name. I'm not a Biblical historian. I can't even debate very well. I probably would feel the sting of my own unlearnedness were I to be stacked up against the most ardent non-believer. What I am is the word-loving girl next door. The sinner. The wife, mom, sister, daughter, friend, and writer who sometimes falls short. The one who is trying to learn wisdom as she walks through this life. The one who is so sorry you and I have both experienced pain. Death. Loss. Even hypocrisy by our own thoughts and actions. And like you, I'm anguished that words like cancer, murder, selfishness, pride, hate, regret, fear, unholiness, and death continue to plague us. I'm a friend whose heart hurts because you might not know the One person who can fulfill every longing in your heart -- even deep down in those cobwebbed corners where you never allow anyone to go. 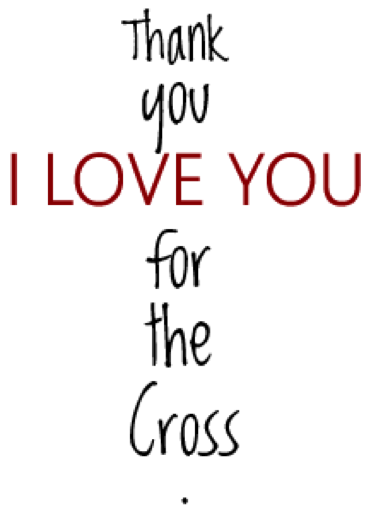 Like many of you, I'm one who wants to whisper the words Thank You for the cross. One who desperately needs and wants to say them to His face one day. To smile and wrap my arms around and cry and fall down to my face in utter disbelief because He loved me enough to give everything-- up to and including all of Himself. Because these words write “I LOVE YOU” in red, with beautifully pierced hands. 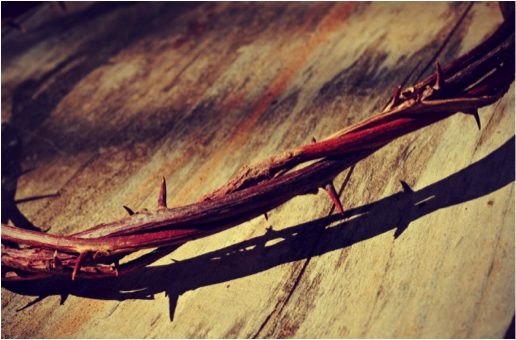 Precious Jesus - Thank You for the cross. Because it's all we need. Kristy Cambron fancies life as a vintage-inspired storyteller. Her debut historical novel, The Butterfly and the Violin (Thomas Nelson, 2014), was named to Library Journal Reviews' Best Books of 2014, Family Fiction's Top Ten Novels of 2014, and received nominations for both the RT Reviewers' Choice Awards Best Inspirational Novel of 2014 and 2015 INSPY Awards for Best Debut Novel. Her second novel, A Sparrow in Terezin (Thomas Nelson, April 2015), was named Library Journal Reviews' Pick of the Month (Christian Fiction) for February 2015 and a Top Pick from RT Book Reviews for April 2015. 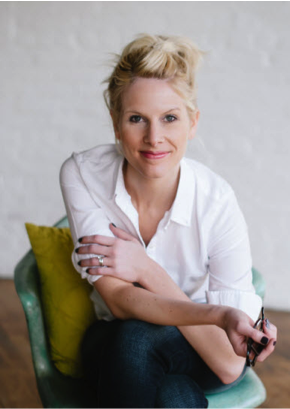 Kristy is an Art/Design Manager at TheGROVEstory.com and holds a degree in Art History from Indiana University. She lives in Indiana with her husband and three football-loving sons, where she can probably be bribed with a coconut mocha latte and a good Christian fiction read. It's nice to see you on Steps. What a beautiful post. Thank you for sharing. Each day this week I've thanked Jesus for his sacrifice. When I came to your list, I thanked Him in each language. I appreciate you sharing the different languages. I hope you and Susan have a blessed Holy Week! Love that you did that, Jackie!